Next review Bank Of America - Loan Modification is designed for failure! 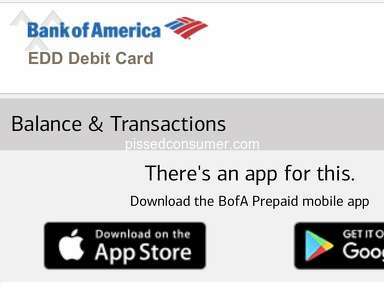 Bank Of America- road to mediocrity!!!! This is my E mail to B of A, with whom I have two mortgages, and a charge card. Should be pretty self explanatory. I pay from a Chase internet account every month, usually over amount due, and escrow recently got adjusted and so I'm short $ 50 USD on the payment. You have robotic formulaic read from a checklist collection agent to call me and ask me how I'm doing? Do you check records? Do you write me an e-mail reminding me? And here is the funny part!!! Can I pay using my B of A master card?????!!!!! of course not!!! that would be too easy. Is there any competence left at all in the US banking system? Rhetorical. You've pretty much answered it. I cannot believe a responsible and competent firm could be that dumb. Now you will probably send me a letter telling of the advantage of having" one account manager for all my affairs". Unbelievable. and it gets better, so I'm short 50, and rather than crediting me the 1700 I paid, you don't, so my mortgage accrues more interest, and you get to make some on the 1700 as well. Fortunately, you do not get much, why? Because the interest rates are so low because of, let me think, oh yea, our financial system, yes, that would be you, messed things up so bad that only the government can spend, but they don't have anything, so they borrow from the fed, create inflation which makes my dollar worth less than it is!! and for a time, coming up soon, you guys will be able to get money at 0 interest and loan it out at 10-12, and make record profits!!! good stuff, could not make this up if I tried. Review #189454 is a subjective opinion of bdf958. I spent a year since I was laid off last January, going back and forth with BOA. I sent every document they asked for every time they asked for it. I called often to get updates, always being told that they needed 30 more days, 60 more days, the underwriter has it, the investor has it blah blah blah. 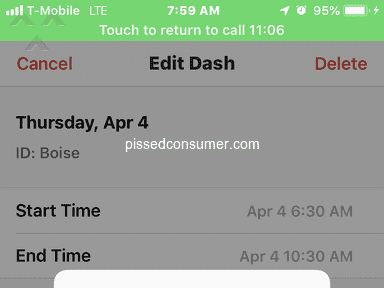 I was lied to, transfered from dept to dept, hung up on, stuck on hold forever and consistently mocked with their "Who do I have the pleasure of speaking to today" every time I called. They would call my cell phone when I was at work at my new job that I make half of what I used to make at and leave messages on my voice mail, saying "hello hello my I please speak to "Pechez" this is BOA. They were trying to document that they were calling me and asking for things and I never responded. They called at night once around 7:00 I answered the phone they hung up. 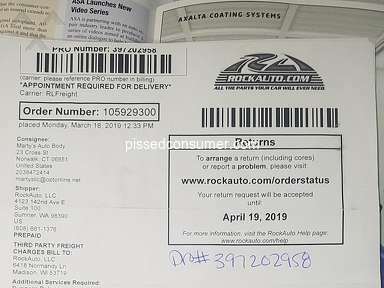 I called them right back and was told they wanted copies of my bank statements they already had sent by the next day or my case would be closed. I faxed them the documents they needed using my computer that night. Dec of this year after 12 months of false hope, being led on by BOA month by month I got a fedex envelope that had a letter in it. The letter said I did not qualify for a home loan, I did not prove a hardship and I was current on my loan". 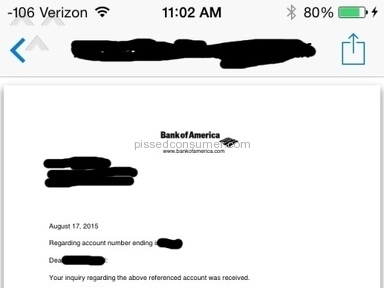 During the year I was being considered for the modification, BOA turned off my ability to pay my loan on line. (Why would you do that to someone who is current.) Last year my property taxes went up and I had to pay $500 out my own pocket to add to the escrow amount that BOA sent to my County Property tax collector. This year my taxes are $700 more than the amount in my escrow, BOA took it upon themselves to pay the extra due to my County and then raised my monthly payment by $120 a month starting with Feb. I proved hardship because I lost my job of 14 years and took a pay cut from $25 an hour to $12 an hour and yes I was still current but just barely. BOA IS NOT GOING TO HELP ANYONE. The crazy thing is I still have a BOA credit card with a credit line of $15000 on it, I feel like paying the balances of a couple of other cards off, and paying my home loan for a number of months with their money. How *** can they be!!!!! !